In February Trax welcomed Rachael Taylor, a Doctoral researcher from the University of Sussex in the United Kingdom. Today we say goodbye to Rachael as she returns to the UK to prepare her thesis. In this post Rachael shares her reflections on doing research with Trax and her preliminary findings. 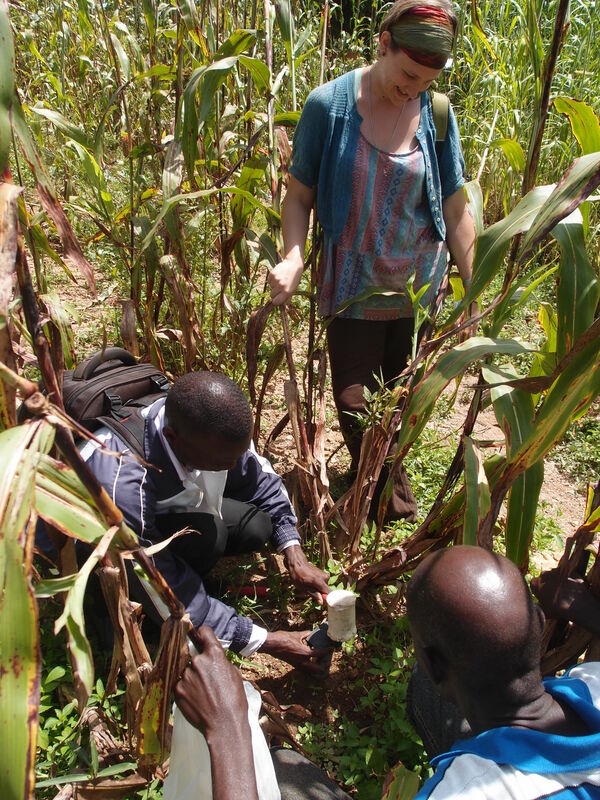 I am researching adaptive capacity within participatory agricultural development projects in Northern Ghana. I first came to Trax in February to collect data for my research, using Trax’s agricultural project as one of my case studies. When I arrived I was expecting to work with Trax just to collect the data I needed, little did I know of what this working relationship would grow into. As soon as I arrived in February all of the staff at Trax were immediately welcoming and accommodating, making it very easy to begin my fieldwork and start collecting data. My data collection has involved doing interviews with farmers and Trax staff, holding focus groups with farmers, and engaging with Trax’s activities in the field and in the office. Trax staff have gone out of their way to facilitate data collection and ensure that my fieldwork has gone smoothly. During fieldwork for any PhD research it is inevitable that there will be challenges and changes of plan. My fieldwork with Trax has gone exactly as planned thanks to the support of the staff. My preliminary findings suggest that the participatory approach adopted by Trax supports the development of social capital which then increases adaptive capacity. 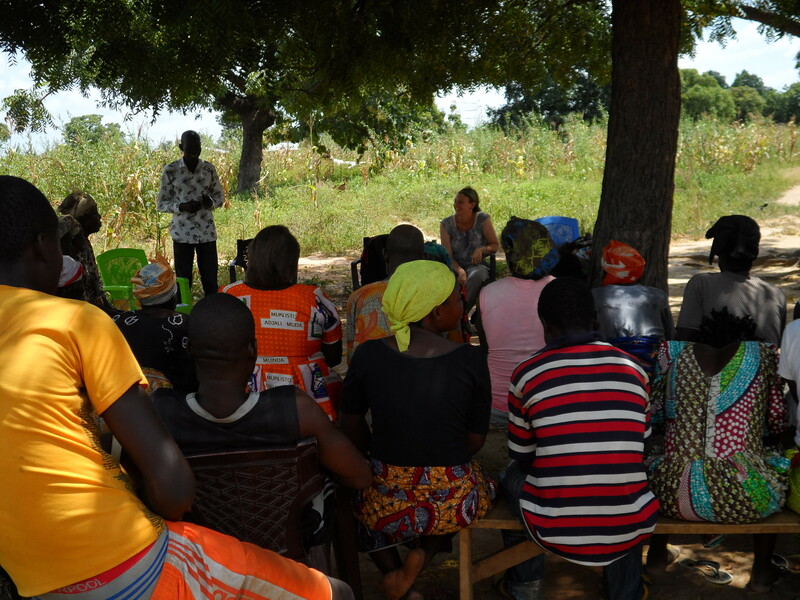 By working with farmer groups and establishing Community Trainers, the Trax project activities develop collaborative governance and management and other important features of social capital. While visiting farmers I have seen evidence of adaptive capacity through examples of social networks, collective governance, shared learning, experimentation, and innovation. There is not only evidence that farmers have the capacity to adapt to expected or experienced change, but also that they have adapted and continue to adjust their farming systems every year and throughout the season. While with Trax I have been fortunate to be able to engage with a range of activities, from field work, to monitoring and evaluation, to organizational planning. As part of this I have undertaken an internship working on visibility and branding. I have really enjoyed being able to get involved with work in the Trax offices as well as the field and this has been very valuable experience for me. I have enjoyed a wide range of activities with Trax including communication games during the quarterly meeting in July, designing Trax’s new logo, harvesting orange-fleshed sweet potatoes, and taking soil samples to identify the different soil types beneficiary farmers are working with. Working with Trax Ghana is an experience that I will remember fondly for the rest of my life and I am looking forward to returning next year to share my findings. I wish to extend my gratitude and many thanks to Trax Ghana and all of the staff and farmers that I have had the opportunity to engage with. You can read more about Rachael here and you will find more information about her research and findings on her blog. This entry was posted in Agriculture, Community Capacity Building, News Update and tagged adaptive capacity, Doctoral student, farming, Internship, research, visiting researcher. Bookmark the permalink. Rachael, although u came in as a student researcher, your stay with Trax has brought about new image and innovation to staff. We will really miss you. I can say without any iota of doubt that among all the student researchers Trax have received for research work, you stand all among all. Congrats Rachael and we hope to working with you soon. Thank you Tijani. I will certainly miss all of you, Trax, and the farmers. I also hope to be working with Trax again and continue our engagement.